Benchmarking is a process that involves stages of testing as to know that, is there any faster way to do the same task with complete efficiency. Usually benchmarking is an application that is used to measure the total number of features and then compare with the same application but different features. When we talk about development it means setting the timelines and the milestones for a project progress. This software helps in measuring the performance of every hardware as well as the software. Establishment of the differences in process. Data discovery should not be considered as a tool but a business oriented process that is used in detection of patterns and the other outliers either by navigating the completed data visually or by applying the advanced analytics. There is no need of any iterative process in the extensive model creation. Our experts say that Data Discovery requires skills in understanding all the data relationships and data modelling. The Data preparations and integrations help business users to connect to the external sources and the relevant enterprise. As collecting and storing data is becoming a lot complex, it is leading to innovating flexible functions and helping firms in preparing their data for all the insights and analysis procedures. The frequently asked question by most of our clients is that why is DD making such a buzz in the market? The statistical analytics is a tool that can quickly help you to get a general characteristics of a set data. Many BI reports are designed in such a way that it summarize and aggregate data in subgroups. It is a simple way to find a sense of shape of the distribution of any numeric attribute. Many of the reports of BI made by the top companies have sensed that the designs to aggregate data and its summarizing in all the groups. With all these reports the firms can find the top notch lines for products, rectify the poorly working sales staff, analyze the sales staff and determine how the performance and revenue can be enhanced. VertexPlus empowers their clients to showcase the complex information by communicating the key aspects in a visual and a better intuitive way that will enable the intelligence. But this process includes the data collection and interpreting it into a solution with the help of visualization tools and business discovery. Most of the time and effort in the BI is wasted in plumbing the data whereas the other 20 percent is spent on analyzing the complete data and creating the report. But in both the cases firms are exploring and interacting with the data and losing all the precious time. The most important thing in the market is time. We tend to get inclined towards the tricks and ways by which we can save time. Though many organizations still work in the old fashioned way where they use the top to down approach and lose a lot of time. This approach results in missing out speed-to-market and time-to-value. VertexPlus has effectively used the business discovery and visualization of data to enrich the existing information about the work and the capabilities of an organization. 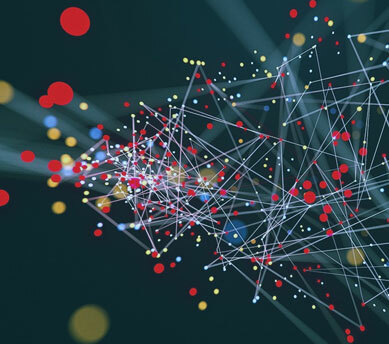 How do you convert the deluge of disconnected data into insightful information that works effectively for you? Increasing competition, need for better customer service and a faster pace of business are demanding unprecedented agility from insurance companies. Prioritizing data and making it available in real time as actionable intelligence that drives agile business decision-making is critical. 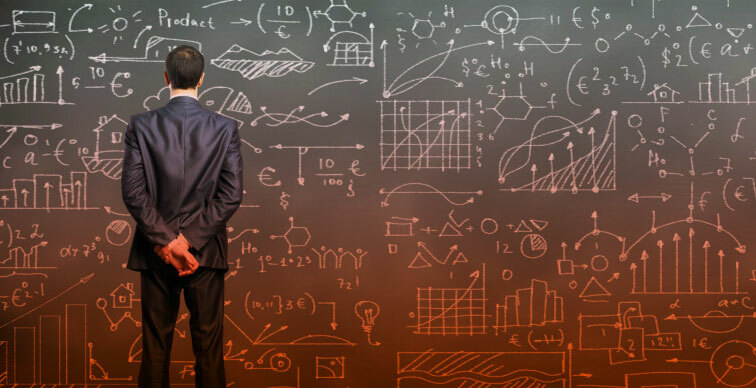 80% of an insurer’s of an insurer’s business intelligence (BI) effort is focused on making information available to decision-makers whereas only 20% goes into speed and form. The result is reactive decisions that leave the company 'flat-footed.' You need innovative solutions to analyze data and respond proactively, as a result – anticipate customer requirements and create whole new opportunities. The intelligent insight’s function of the BI uses the pre-installed intelligence to continuously monitor all the data used through AI. It also detects all the disruptive events that can cause a performance glitch or poor performance. The first and the foremost step to find the glitch is to take up a complete assessment that will help the company to generate the detailed analysis of the work. Once this step is carried forward the assessment is done which helps in diagnosing the logs with the help of AI. Looking into the performance insights. If there is any degradation, then the early detection of database is required. Detection of the root cause is found. Then eliminating the problems step by step. Now once we are through with the above question. Next big thing is how does it work? The Intelligent Insights analyze the database performance by simply comparing the workload of the previous working hours with the workload of the past week’s baseline. The Intelligent Insights are independent of the workload baseline and they monitor the absolute operational issues. But one should know that there are no single predictive analytic strategy that can be used to all the problems. Every circumstance needs something different and something new. The ways to reduce the overall costing of the firm. Social informatics is one of the useful tools for an organization because it helps them to study the communication tools or the context of the institution. It helps to create a relationship between the different sectors of the organization. Be it external or internal data Social Informatics will club all the data and make it in a uniform presentable manner. Knowledge collection is one thing but managing all the information and collaborating it to perform all the work efficiently is a necessity. This helps the institution to keep a record of the data. Management also make things well organized and in a proper way. All the sectors in a firm can keep the track of their work as well as the targets they need to meet. Knowledge collection is one thing but managing all the information and collaborating it to perform all the work efficiently is a necessity. This helps the institution to keep a record of the data. Management also make things well organized and in a proper way. All the sectors in a firm can keep the track of their work as well as the targets they need to meet.